Greg "IdrA" Fields is an American StarCraft II player who plays Zerg, and a former StarCraft: Brood War player who played Terran. He is widely known for his displays of poor etiquette both during ladder and online tournament matches. His habit of trash talking, vocalizing perceived game imbalance and "rage quitting" games have made him a controversial, yet entertaining player within the StarCraft scene. His ID was originally inspired by the Hindu mythological character "Indrajit". 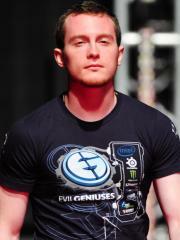 In his BW career, IdrA lived in South Korea and played for the progaming teams CJ Entus and eSTRO. He had a fair amount of success, having performed well and won the majority of tournaments he's participated in, such as the ESWC Masters, ESL Major Series and the GomTV Valor tournament. In SC2, IdrA switched to Zerg and became the only non-Korean to successfully qualify for all 3 of the original GSL open seasons. At this time, IdrA is ranked #1264 in highest overall earnings, and #257 in highest earnings for players from United States. IdrA had won $129.85 in cash prizes from a single tournament before he turn 18 years old. 0.17% of his total prize money was earned before August 21, 2007. Out of the 56 tournaments awarding cash prizes that IdrA had competed in, the largest amount was $6,500.00 from IEM VI - Guangzhou (StarCraft II) on October 5, 2011. His 1st place finish makes up 8.66% of his total prize money won.